Pretty iPhone 5S cases are from very talented artists and designers. Zazzle designed these New iPhone 5S cases to also fit the iPhone 5 too. If you accidentally buy an old iPhone 5 Case, it may partially cover up the camera and flash. Be very sure the case you are buying says that it is an iPhone 5S. Some of the designers did not change their descriptions of their iPhone 5S cases and might call it an iPhone 5S. Look at the First Description underneath the Custom iPhone 5S covers to be sure it is the iPhone 5S. I already verified that Zazzle did change the cases that I am featuring here. Some of my first iPhone 5 cover sales were of these floral cases. The first two are actually my very first iPhone 5 sales. To me it looked like someone was maybe buying the first two together for her daughters because they do make for lovely ladies iphone covers. Look at the intrigue design. 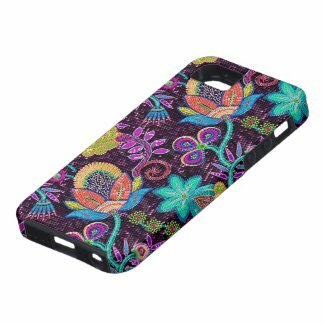 I love the colors for a very fashioned vintage floral iphone case. I love the Victorian Flowers. I decorated my whole bathroom in my old Cape Cod home that I used to own in similar Victorian floral wallpaper pattern. These three iPhone covers are usually in the top selling cases. You can see why a lady would love receiving such a beautiful Vintage Floral iPhone cover to protect their phone. I sure would. The Prettiest iPhone 5 Cases come in 2 Styles by Case Mate. Case Mate Barely There and Case Mate Vibe with SoundScoop Music Boost Technology. I am displaying mostly the Case Mate Vibe iPhone 5 Case with SoundScoop Technology which costs about $5.00 more than the Case Mate Barely There iPhone 5 Case. 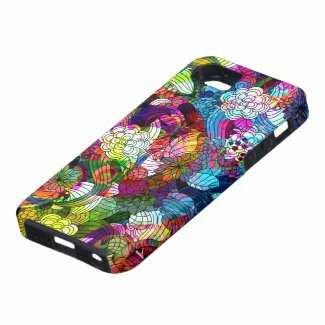 Because of the Hardshell of the Case Mate Vibe, the Artwork displays more vibrantly. Many of these pretty phone cases come in various styles and prices. Give me a call or text if you would like me to create a gift for you. Pansy iPhone 5S Cases for Verizon, AT&T and Sprint iPhone 5S. Customizable iPhone cases. Yellow and purple pansy grace this case. Doesn’t it look like a field of pretty pansies?